I couldn’t have arranged this picture better if I had tried. 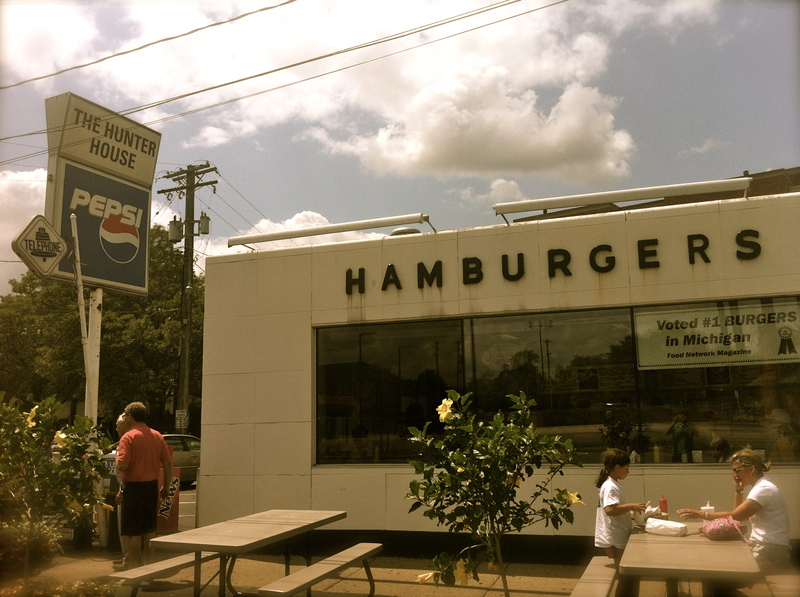 Having lived closer to Greene’s, I never really experience The Hunter House growing up. It also didn’t hurt that Greene’s was open 24/7. As my fiancee was having her shower in Birmingham, I was presented with the perfect opportunity to roll into The Hunter House with a group of guys. 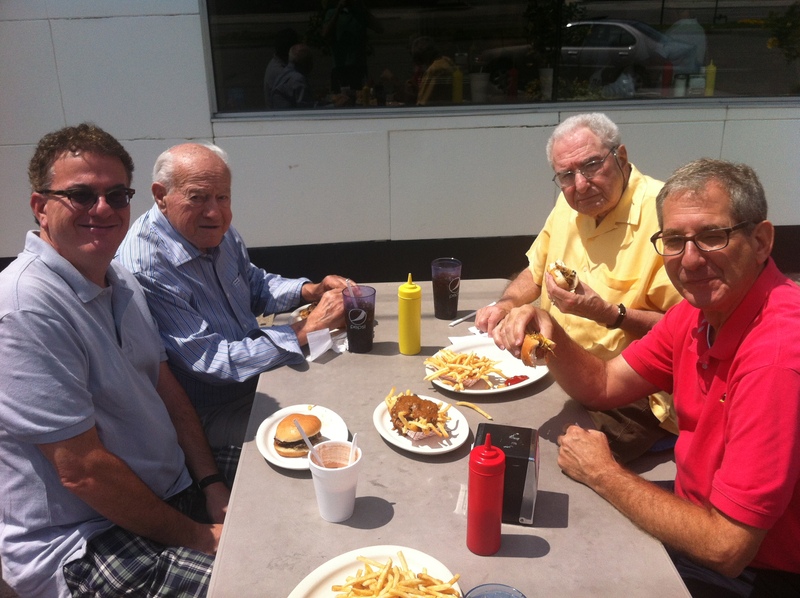 The guys were my dad, his dad, my fiancee’s dad and his dad. With three generations present, we took a look at the menu, which offered a wider menu than I would have expected. 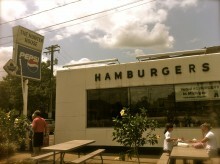 Nonetheless, I was only there for the burgers. The quad is not nearly as intimidating as it sounds. I ordered up a quadruple cheeseburger with just the cheese. I know this is sacrilege to slider purists who love those onions, but just know that these burgers packed plenty of onion flavor without the nasty texture that onions bring to the table. The result was purely delicious and deserving of its fame. But to be realistic, I didn’t feel that it was any better than Greene’s. That isn’t intended to knock The Hunter House in anyway, but simply means that Michigan makes some amazing sliders. Tastes so much better than it looks. We also had some Detroit-style chili fries for the table, which consisted of Coney-style chili. 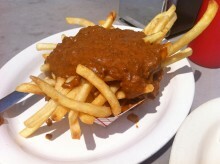 They were a nice bonus and the fries retained their crispiness despite the wetness of the chili. 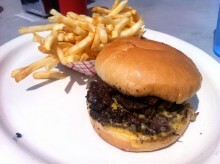 There’s not really room for complaints, so I’ll just leave with the message that real sliders are amazing and places like The Hunter House make Michigan a burger haven to be reckoned with. I’ve been told I make a much better blogger than waiter.